Pell Farm is a 153 acre area owned by the Town of Grafton, with a Conservation Restriction on the entire area. It offers a diverse and scenic landscape including agricultural fields, forest, and open fields. It is a critical link to passive recreation and inspiring for its beauty. The Pell Family contacted the Trust for Public Land and Town of Grafton in 2008 regarding several offers they had received for the purchase of this land. With preservation in mind, both the Town and the Pell family reached an agreement on the acquisition of this land for the benefit of all. The Pell Family would continue to harvest and sell Christmas trees (visit their website) on a portion of the property for another 10 years while passive recreation was permitted. After the 10 year lease is up in February 2019, the Town will elect to lease the fields to another farmer or mange them for wildlife habitat. 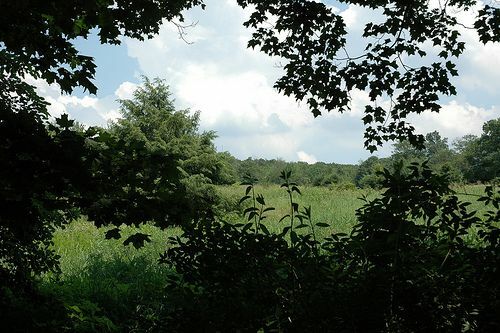 In order to pay for acquisition costs, a 16 acre sub-parcel was sold to a private abutter with a conservation restriction place on the land to ensure the entire area remains publicly accessible open space. While this project was only successful thanks to commitments from the citizens of Grafton, the Trust for Public Land, and the Grafton Land Trust. The two organizations were able to facilitate a myriad of financing for the project through a combination of a Massachusetts State Land Grant, private funds, existing CPA funds, and CPA bonding.